Specialist Knowledge in Barrier Shrink Bags and Pouches, Co-extruded Barrier and Laminate Films. Vacuum Technical Services offers a specialist service to the food processing industry, by providing a high quality service at competitive rates on a wide range of packaging equipment. 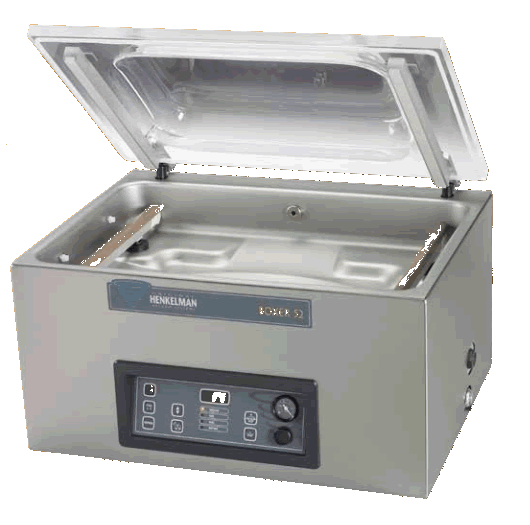 An extensive range of equipment including Tray sealers, Vacuum Chambers, Thermoformers, Flow-Wrappers, Heat Sealers and Medical Sealers. 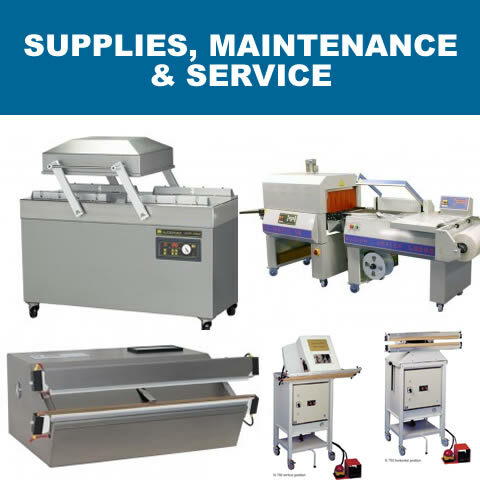 We also provide weighing, printing and inspection solutions. We can provide a range of packaging products e.g. shrinkable and non shrinkable barrier materials. All over the world of industry. What volume, ultimate pressure and pumping speed does your application require? 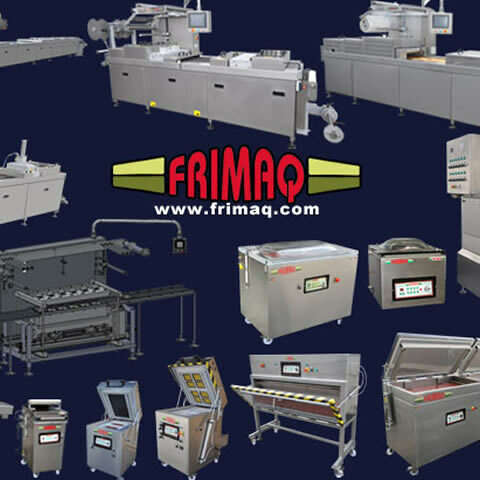 Vacuum machines, thermoforming, traysealers, shrink, etc. 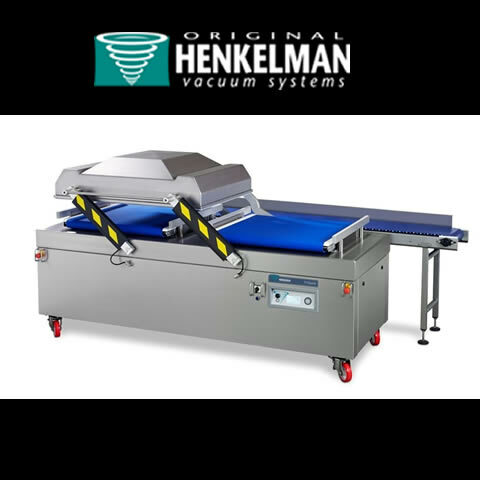 Henkelman, the best choice for professional vacuum packaging machines. We have vast experience working with a wide range of equipment. Services and Products are available throughout Ireland and the UK. 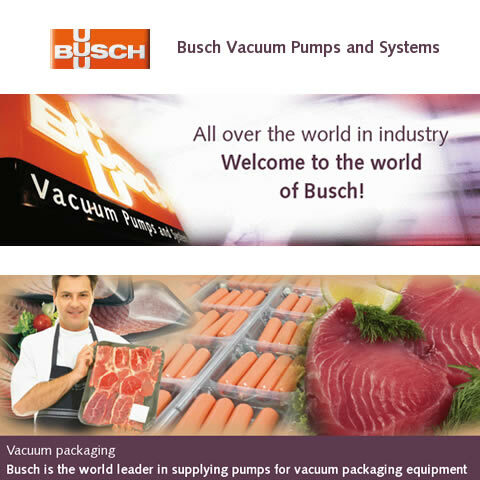 Busch ® Vacuum Pumps . Vacuum Technical Services Limited is totally committed to our customer's needs and requirements offering high quality service at competitive rates. Our service is primarily provided throughout Ireland and the UK. Vacuum Packaging Sales & Maintenance Specialist Knowledge in Barrier Shrink Bags and Pouches, Co-extruded Barrier and Laminate Films.